The Clear Time Watch has an analogue face with large black numbers on a white face background. 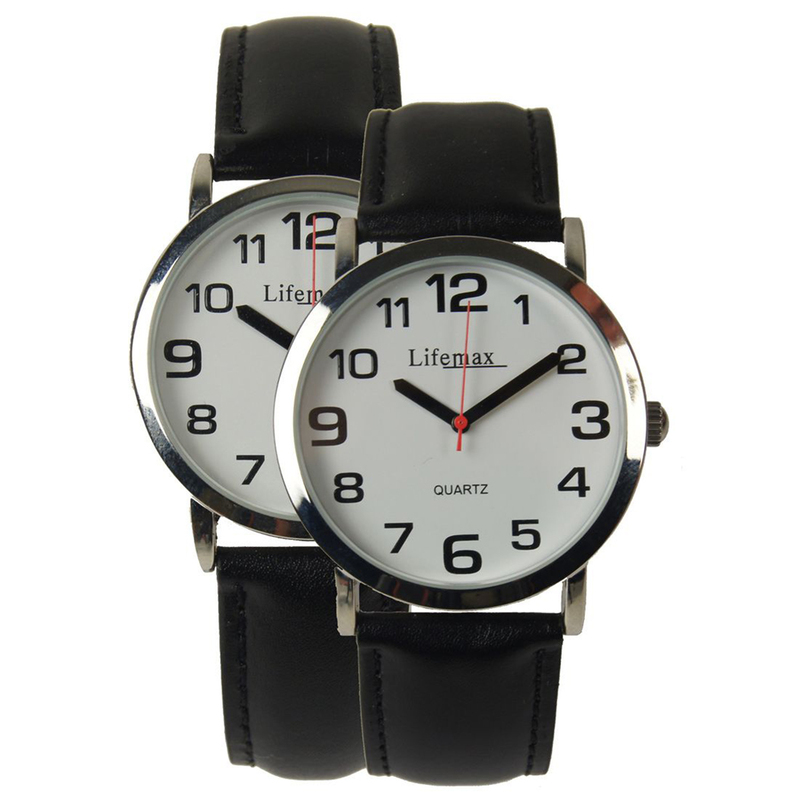 The Clear Time Watch has an analogue face with large black numbers on a white face background. The solid black hands indicate the time clearly, so little more than a glance is needed to check the time. The case is silver coloured metal with a high quality black leather strap. This watch is available in matching gents and ladies versions.